The business model including all people who are ready to get coolers for their business at cheapest cost but they can get more profit from the business. Looking to my country there are mama lishes ,mangi shops and juice makers in different places they are not eligible to get coolers in their outlets simply because of conditions of the suppliers of those coolers like Coca cola and Pepsi. Not allowed to sale a competitors products in their coolers that affects to large extended the development of local industries the producers of beverages. Source of finance later on it will be banks and investors who will be interested to put their money in our business because it has margin at all. Currently am planning to start with one region with 1000 coolers but later to other 25 regions in our country hence the project will be growing. My name is frank George mbwana am 26 years old .I have completed my degree at university of dar es salaam business school in 2015 . 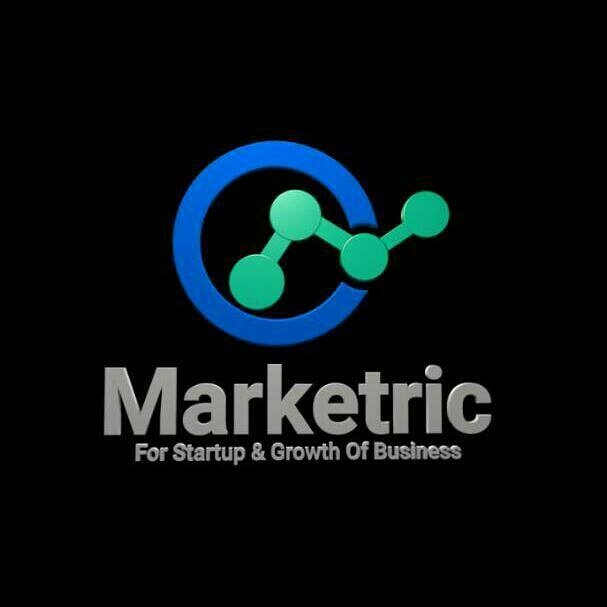 I got my working experience in some companies like coca cola ,sunda international limited and fide investment but currently am working at my own company known as Marketric.Co.Ltd as marketing agency thus i come up with this great idea to my country. Thanks very much for your constractive comments and vote toward my project.I real apperciate your always made my project to become more strong. 1.My motive toward conceiving mmy project is to promote the culture of "Quality Value Brand " me ,society and environment. 2.currently i have a team of ten members representing marketric company limited of which 5 are beautiful ladies and 5 are men. 3.Yes, we are getting support from the government because we are dealing with people so no way you can avoid a support from government in one way or another. 4.I think to have flaurished and strong NGO you must get the support from the government. 5.Five years to come the project will be almost in more than 10 regions in tanzania.And to be extend we will establish strong relationship between countries and stable beverage industries.And also social welfare of the people will be improved. 6500cooler×1000tsh×30days×12months×5yrs=11,700,000,000 tsh. For one region in five years. So in 10 region in five years is 117,000,000,000tsh. Hope you can see the potential of the project. 6.young minds are going to involve in different competation also through our support to different youth project at schools and universities as well as employnment to more than 500 young minds in five years and hence to improve peoples life. I wanted to take this beautiful time to thanks all who are participated to this competation.it was a great presure to share with my fellow youth around the world our ideas and we need to practice even if your going to be selected or not but all in all lets make it for others we have ideas not for us but for our community. Lets have a believe and trust on our thought we can change this world to the next better place.Everyone has a potential to the community. Lets meet to the next step beacause the end of one phase is an opening of the new chapter. This is a good step your making...am proud of this and am impressed with this.. Support you is what I will always do. Thanks for you well opened thoughts toward this competition and i feel proud to be part of this competition together with you. Definely my plans for implementation is there nothing impossible to be done from my idea i did several research hence i come up with enough ways to implement my project. Also it is profit making plus social welfare to help everyone especial special gender to get accessible to their dreams as one. We are implementing it through shares to every member to get benefits from the project. Thanks for your comment i will check your also. Thanks very much for your constractive questions toward my project i real like and appreciate what your doing .All what you have said it is true and also enterprenuers agreed that if you want to rush faster better run alone but if you want to grow better work with the team. Frankly speaking all my projects am working with a very strong team in my company good enough i have 10 members in my company with deferent skills and experties in deifferent angels.Not only that but also i have parteners from outside our organization like CATS company limietd they do supply for us any kind of software we need also we are working with National economic empowerment council (NEEC) and lastly but not list we are working with Research on Poverty alleviation (REPOA). Welcome and thanks again for your support i will check yours also. am quit impressed with your idear broh, yo sure went extra mile to support young initiating bussiness. Bravo!! Keep that spirit, and may "The divine Power" hold your hand! It really is a wonderful project and helps to solve the problem of lack of cooler /fridge in an innovative and economical .. What is your plan to develop your project in the future? Hey thanks for your lovely comments and vote toward my project i real appreciate your encouragement toward my success since day one . Stay blessed my friend and lets keep in touch we have so many thing to work together. Thanks my friend for the nice question and you support to make my project so strong. Actuall there are many other gases which has negative impact to ozone layer like chlorofluoracarbons(CFCS) . But for my project we are going to fix mainly halogeneted compound of methane (CH4) which is recommend less toxic and less flammable hence no destruction of ozone layer. This is a good project to sell cooler with transparent door at cheapest rate. I want to know about which coolant gas you are going to use. Because some coolant gases are harmful for ozone layer. Your idea is amazing and sustainable. I really appreciate it .I also enjoy reading it. So please have a look at my idea and support it by voting and commenting on my idea. Thanks very much my friend for your comment and vote for my project.And having look on it i will do the same to your project because at the end of the day our aim is to create sustainable environment and development to our societies. Great idea, the beverage industries will never run out of relevance, so this idea has a guaranteed sustainability and it has the ability to create employment especially for the youths...nice idea. Please consider taking a look at my idea and perhaps render support using the link below. Your project is really nice.It would help in fulfilling so many sustainable development goals .It will also help to get rid of poverty and unemployment.I too have an idea"Educating every person on cpr " in ideas category so I would be happy if you take a look at it and Please comment and vote.Your opinion and feedback will be helpful in developing the idea further. Thanks very much for your great and masive support from your side i hope my idea will be selected for benefit of our community this is very important to our targeted group youth and women in the society. Not only that but also its sustainabilty is that the project can run itself plus helping society.with less cos after installation at first. Really good idea and big potential if you already have 1200 potential customers. It will help a specific industry sector to rise a little bit. Happy to see such potential around. Good luck mate! Thanks very much for your suppport i real like your new leadership style and i will join u to make sure we have good and stable leadership in our society in case of any thing please dont hesitate to contact me any how. I hope your doing ok ,thanks very much for your inspirering me more on your project it is good and brilliant idea as long as i see great future in you. Thanks am still looking different challenges facing my society especially to our government policy now Tanzania is encouraged to industrialization and beverages industries am also more encouraged and easily to operate in our country and through my project am sure in 100% i will help them to grow as well as expected. I left my comment to your idea because i believe we can change the world though our helpful ideas and projects. Thanks very much hope to see you very soon to have graet discussion on several matters concern our life . I like your plans here, and I can see you are showcasing strong leadership potentials. I'd like to introduce you to 'entrepreneurial leadership (EL)' which is a new leadership style/paradigm that I think would suit you. EL includes people understanding their self and social awareness plus developing entrepreneurial skills for the private sector and corporate worlds. It has a strong sustainability focus and in small, lower socio-economic regions provides a strong focus on not only understanding 'what' and 'why' people might need to achieve but provides systems for 'how' to do so. Showcasing how important networks are and having a strong set of values. I saw your idea.very good idea and also low cost. It's acceptable for the local areas. And please also check out my idea and vote for it. How much energy do your coolers use? How much cc of space do the coolers hold? Do the materials used in the production of the coolers abide by sustainable development protocols? Do the coolers use any hazardous chemicals to keep the coolers cool? If so, how will the chemicals be handled after a cooler is no longer operational? For sure my plans is to distribute for more than 30000 people in long run and every month am going to help them as long as demand is higher in the market. So doing i will help my community to benefit from the project. Thank you very much for your opinion on my project meant you have been able to go and see its contribution to the community I hope it will be selected between the best project. as well as this project will grow with those large dustibin that will be used to collect the bottles that will be used to make drinks and cats full and will grow well and absorb properly and will thus help reduce pollutants in our environment and also prevent an alternative to preventing unnecessary ways in treating drinks so that people will get the product of high quality. thank you and continue to recommend my project. Thanks very much for your comment we a all one to create one and beautiful world though you vote and comment u wil make project to work out . 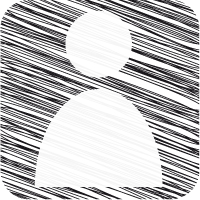 Also i will check in your project and i will live my suggestion or question on your project. Thanks and lets cooperate indeed. 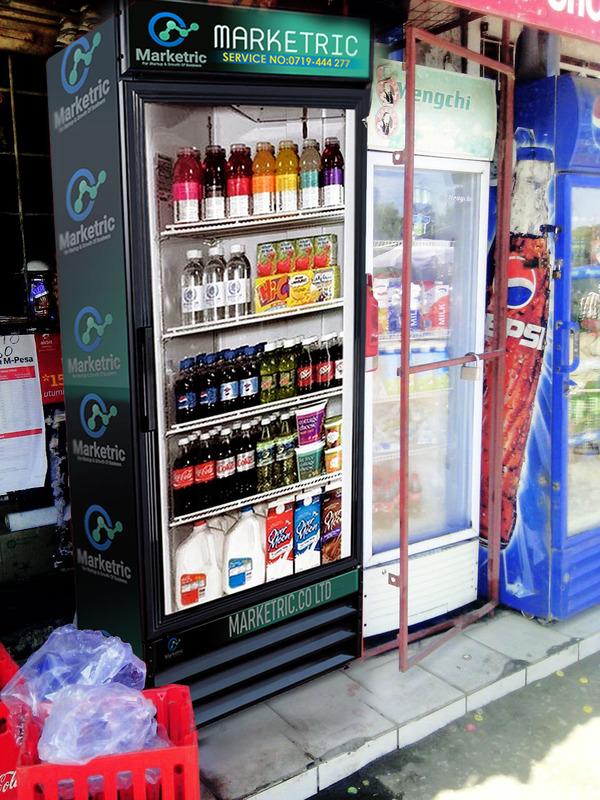 Good idea and low cost, especially that it will allow them to sell everything through your coolers without restrictions, it is suggested that you work public refrigerators can be used for different people at a specific time. Thanks very much for your support and comments on my project. I wanted to share with you ,the idea it came from my head but i communicated to my team after discussion with made a conclusion even to share it here to our fellow youth. I have good plans to find people who are going to fund our project also we are looking for institutions or organization who also can fund the project . And we hope through this platform it will be easily for us to work on our project .sincerely the project is potential and demand of coolers is also highly need since we are 54 million people according to statics in our country . Have a nice moment and i will have a look on your idea also we can change this world only through our massive projects and ideas. Mr mushifka maisha thanks very much for your massive support on the project but i want to assure you that am good in marketing with experience of five year doing that .Also Marketric is marketing agency doing marketing in Tanzania though it is new company but i will make it with no doubt as long i did my research for having this project. Thanks very much guys for your greater support on my project for your comments and votes i really appreciate every one .Through this project i promise to make wonders to our community and environments as well as youth also for sustainable development. Thanks a gain and welcome all of your to share our projects and experience here is a good place to change the world. Your idea is very good especially to the local community which in reality their very poor to afford the coolers this will lead to their sustainable economic development for sure keep it on. I have already seen your idea. it's a very innovative and helpful project. I would like to say that you have to very conscious about the marketing and about your products quality. Please also take a look at my idea and leave a comment ,questions and vote. Hello Frank, I real like to see dudes come up with new ideas (invention) to this Universe of Stiff Compettion in whatever we are doing.Sincerly accordiing to your Project u deserve this Trophy.WISH BEST LUCK CHIEF. Best project, very helpfull for market penetration and also you will help even we young to deal with beverage now it will be very simple to start and growth to my business thanks Frank all the best in your competition . Thanks very for your comment ,am very happy getting a comment fro a very determinant person like you. I reduced the service charges but always am staying in quality things am sure my service most outlets will be satisfied. All the best in your idea also it is real good lets share and help our community. And please take a look at my idea and leave a comment or question. Thank you. Thanks very much for your comment on my project i went through research on some coolers of good and best quality like frigorex,sanden and metalflio these are the coolers am going to use in different sizes like fV 240,Fv 400,Fv 650,Fv 1000 . Also am going to offer service and not product to the people who are selling beverages. But they should pay only 13$ for maintenance and service and training special for their business . Great project. But i will like to know if your are very knowlegable in the producction of these coolers and fridges and how do you intend to market them if produced because alot of persons or buyers would want to go for a brand that they know very well. How can you convince your buyers that your product is a reliabbe one. Thanks very much for your comment and accepting being my friend i real wanted to ensure you that not only cold drinks but also it is an opportunity for entrepreneurs to get fund to boost up their business because some amount of cash will be used for our micro insurance where our society will get loans at 2% only. All the best in your project. I can imagine how good it feels to have cold soft drink during the warm day. Keep up the work! It is great that you have paid attention to how the growth of local producers get affected by the condition imposed by brands that only their products are to be used in the coolers provided by them. Your business proposition is really good enough to market your products. I hope you would also constantly look for and market coolers that do the least damage to the environment so that your edge over your competitions get enhanced. What you want to sell. 2.The market for your product or service. about how much it will cost to start your business. Try to think of all the things you need. How much will it cost to do the job? courses or other activities you do in the week. And other relevant information about you. I think mr shadi that is my opinion about how to develop your business idea my e-mail [email protected] for further information please lets talk more to develop more idea and welcome to my country Tanzania. Hi Frank ,I have a set of questions to collect feedback to know how the entrepreneurs thinks about the requirements of his idea and to have a clear Business Model Canvas ,and after that please see my idea and write your opinion and your question or feedback to improve my idea. It such a helpful project. It will help a lot of people, especially local entrepreneurs dealing in things like soft drinks production, milk production, butcher and even fruits and vegetable. The market is limitless and it will surely reduce the production costs a lot of people face. Keep the good work up. Mr frank your always inspire me on your ways.Now you come up with new and brilliant idea am also affect on those coca cola fridge i decided to stop selling beverages but through your project then i will do it again plz alert me when you start. But tell me the condition to own you fridge. Thanks very much for your votes and comments on my project i really appreciate every one for his/her support on it. Also i would like to welcome mr kiponda to my office to discuss more and more i do respect your perception always. This will be a benchmark for youth to develop more their idea and support from my project. Dear Frank , congrats much for hsving this Brilliant project, it's inspiring, we always need you guys in our society with this innovative ideas. Let me know when you will start this project. Next month I will pay a visit in your office to learn more. 2.You must have TIN number. Only that mr Jackson welcome once again. The budget of my budget is $43,690 currently to start due to the cost of buying transparent fridge/coolers ,software to be developed for coolers verifications, scanner to verify coolers and track for redistribution of cooler to the market plus rent for office with enough storage of cooler before giving them to shops and mama ntilie /lishe around the market who are not able to possess their own coolers and they are not eligible to companies coolers like coca cola,serengeti,Tanzania breweries limited and Pepsi who are the providers of coolers currently. But through my project i will give them coolers for free but they will pay a minimum cost for service and maintenance of the coolers only $13 per month. And also they will be allowed to sale everything through our coolers with no restriction. Also we will offer the business training after every three months to help them in capacity building for their business also through money collected i will open micro insurance share to give them soft loans with minimum interest of 2% of which no any micro finance or bank offers such interest and this will be special for those who have our cooler because it will be easily to manage them. That will help youth to engage in business through our soft loans and we will encourage the development of local industries and women will be empowered as well as life at all. Thanks for your comments and questions i will replay every question on this project because i did a research on it . You have plan for to help local industry and also to create a new opportunity for young people entreprenenurship. I would like to ask you about budget to develop this product? and what your plan to distribute that product? are you want to rent it or they must buy your product? If find this idea very interesting I never thought of something like this before due to what Coca Cola and Pepsi have been doing I thought its only them can do that Oops..! then I was wrong, if your given a chance to implement this it will have a big positive impact to the community especially those small vendors who cannot afford the coolers by their own due to lack of adequate capital this will boost them up in turn will benefit the country's economy at large especially through the revenue which the government will collect from those businesses. I would like to thanks you all for your constructive comments, contributions, support, encouragement and . I do appreciate your presence on this great platform that brought us together . Our ideas and projects are unique and impressive and should be channelled to the transformation of the World we live in. It can take just one idea to change the world. So, we should keep supporting and encouraging one and another in the implementation and progress of our ideas and projects. We can come in partnership to see to the implementation of a particular idea. Together, we stand and I believe in the spirit of team. (Youth Citizen Entrepreneurship Campus) rooted in us we are like a seed in fertile soil lets do it. Nice one Mr. Frank, we all demand brave ones like you. I see a future and bright Tanzania, the only thing needed is suupport from the community. Above all I as a community personel I believe a three year experience is abit strong and can bring alot of changes to the society as far as some one is willing to do so. His idea is great and it will help to uplift small entrepreneurs who are engaging in small mama/baba lishe related businesses. This will then help in development of beverage industries since there will be high consumption of the same due to the fact that climatic condition of the Dar es Salaam and others are hot hence most people like cold drinks. I suggest the idea to be selected and facilitated since it will have a great impact to improvement of people's livelihood and national economy as well. I wish to see your conditions to help those people who are not eligible to get coolers from other company please tell us how are you going to provide it? It is good idea for sure it will help to boost business especial to women around the street in their business of beverage so good keep it up. thanks this project i will be so helpfull to all people who are not able to buy their coolers but how are you going to handle it to make sure assets are note lost in the market? and what are the criterials are you going to use to offer colers to your custmers?